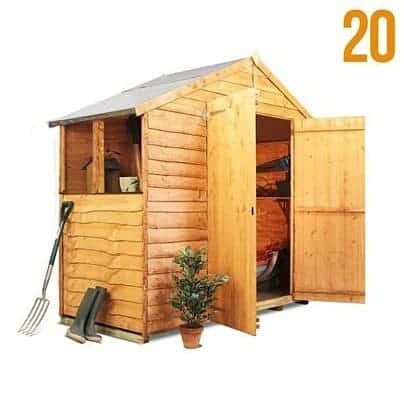 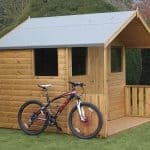 Truly an exceptional value neat and economical garden shed. 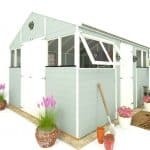 Not only is this an attractive option for any garden but the clever use of interior space means that you can use every inch. 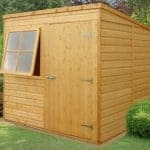 With glazed windows to prevent any moisture getting in and crafted from fine quality, hard wearing wood this garden building will last for many years. 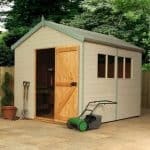 Double doors mean ease in transporting equipment in and out and windows mean the inside is bright and airy. 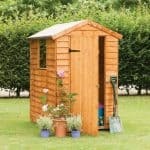 The low price makes it an affordable choice for gardeners everywhere. 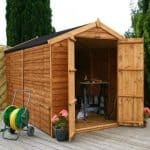 It is also perfect for when you need additional garden storage as it makes an excellent secondary shed.